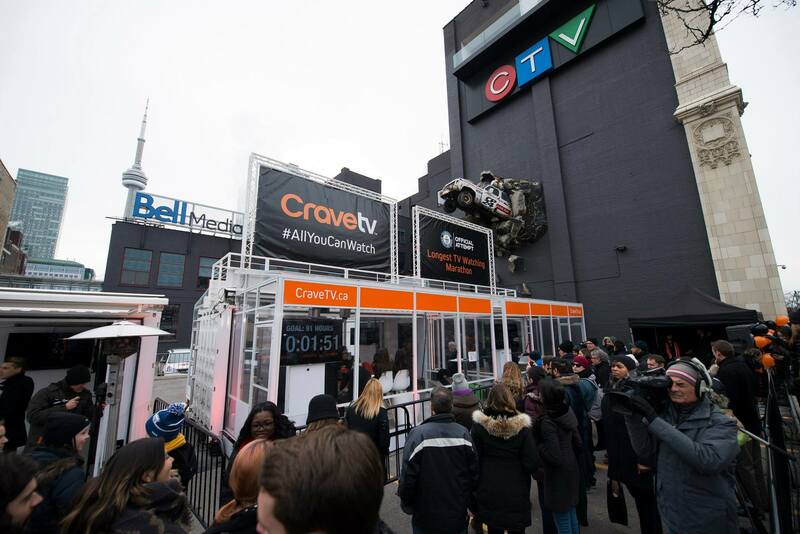 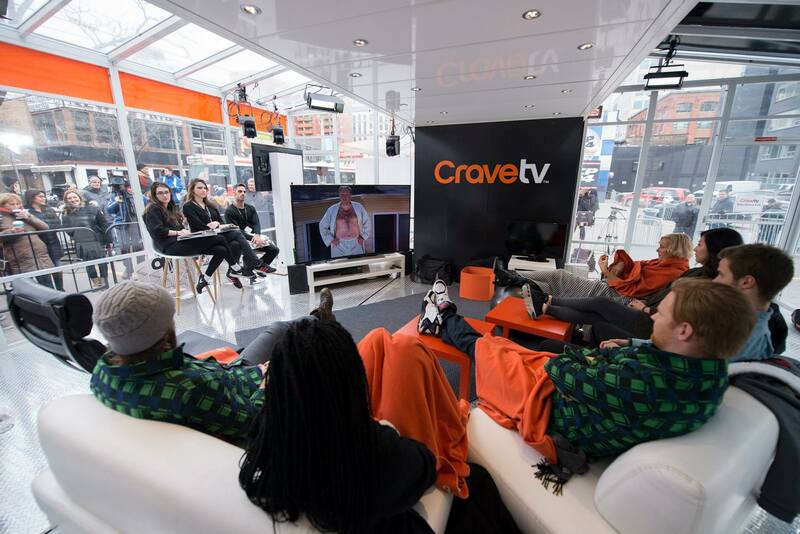 Bell Media once again put an original twist to the launch of one of its specialized channels, Crave TV. 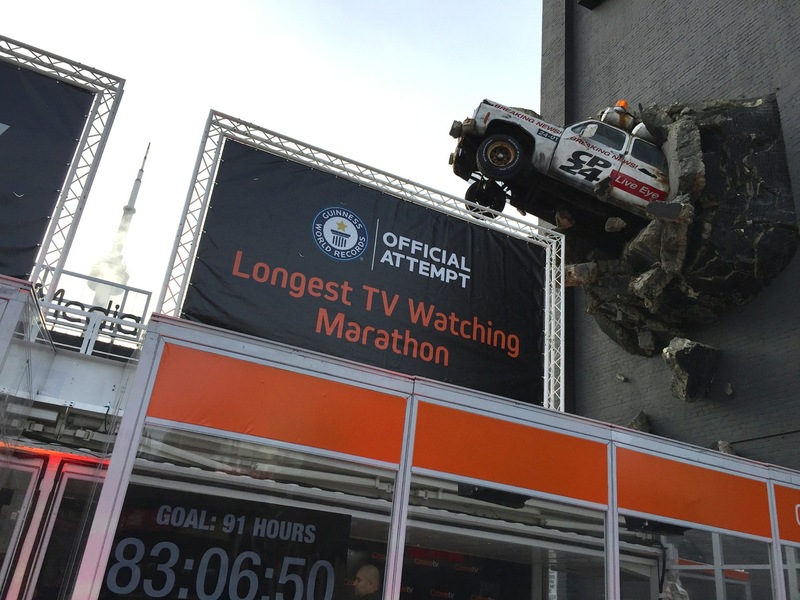 Six TV fanatics settled in for a Guinness World Record attempt, a marathon of 91 straight hours of TV. 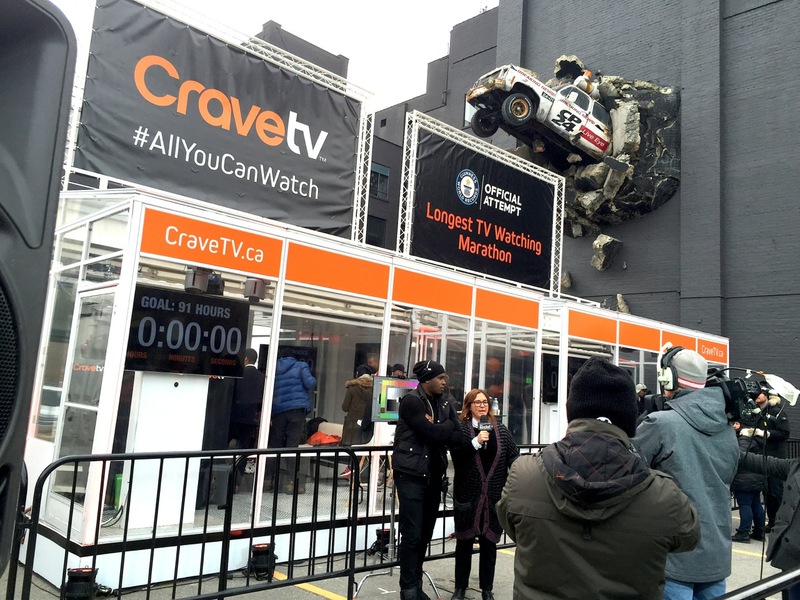 This unique event gave Loki box some great visibility. 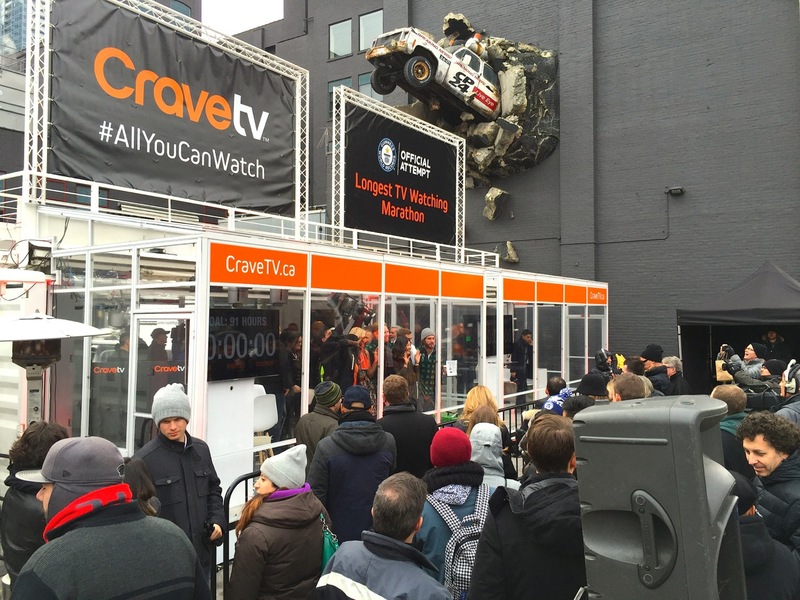 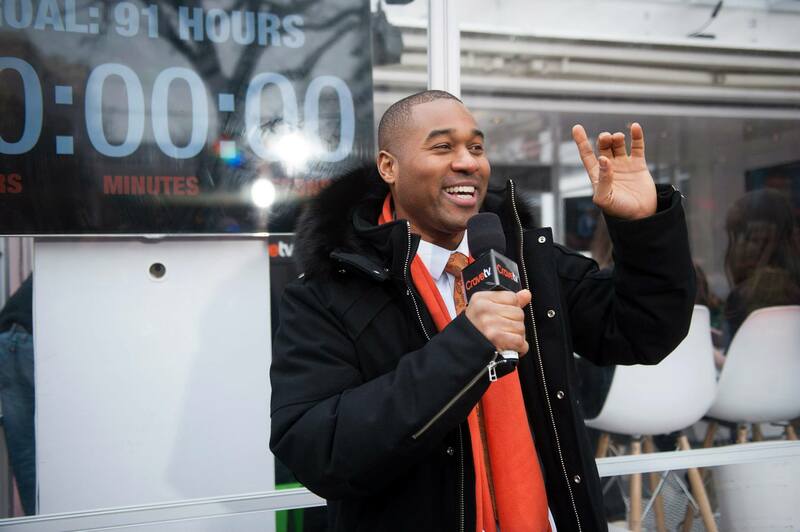 This activation was held in downtown Toronto, at Bell Media's headquarters on one of Toronto’s busiest streets. 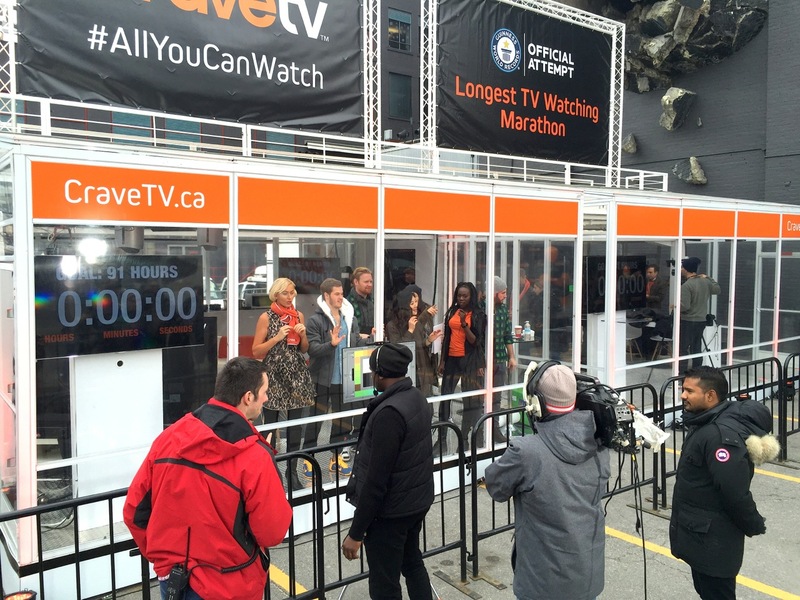 Our BB40 custom container was transformed into a glass house constructed and custom branded specially for the event, so even if bystanders were not one of the six participants they could still immerse themselves in the experience. 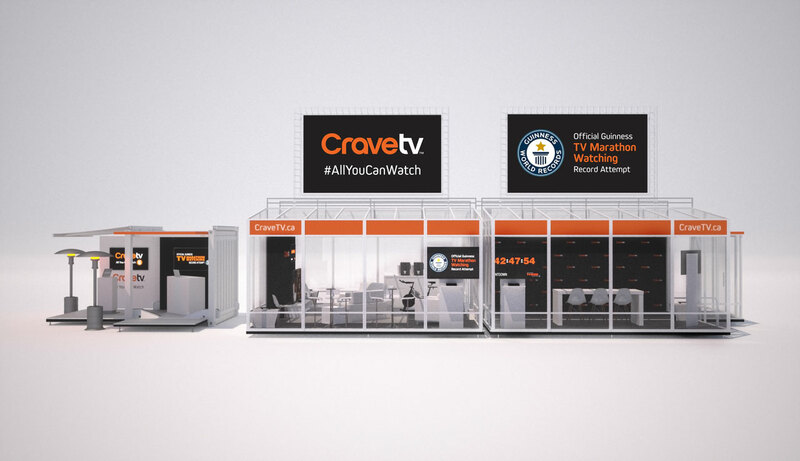 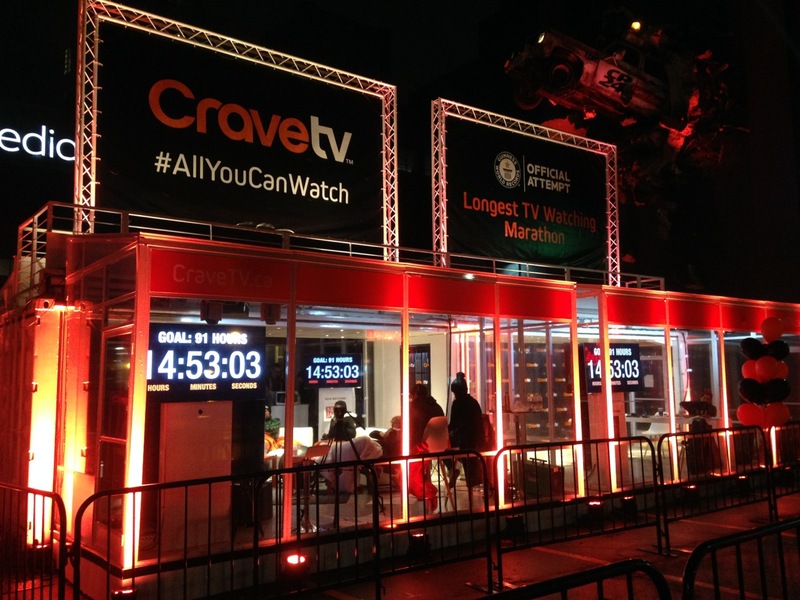 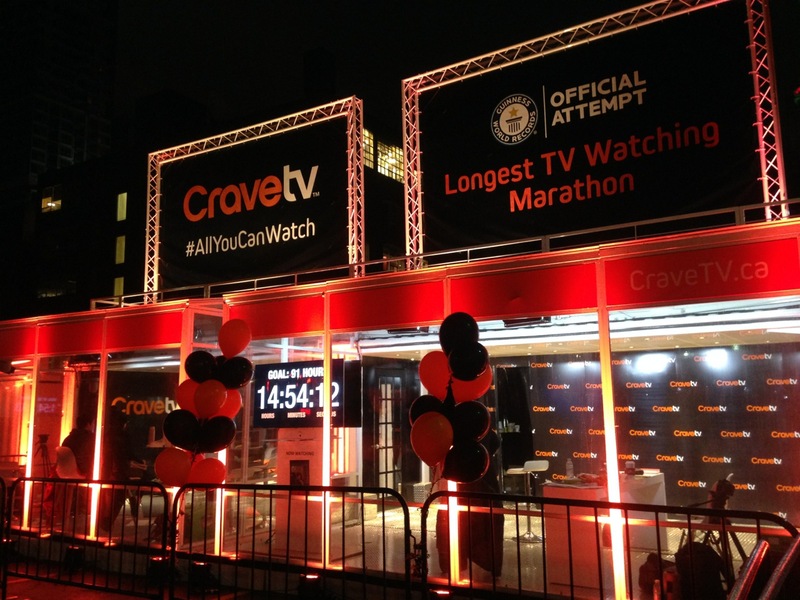 To help consolidate and promote the Crave TV launch for the general public, a Loki Box BB10 unit was set-up next to the marathon booth. 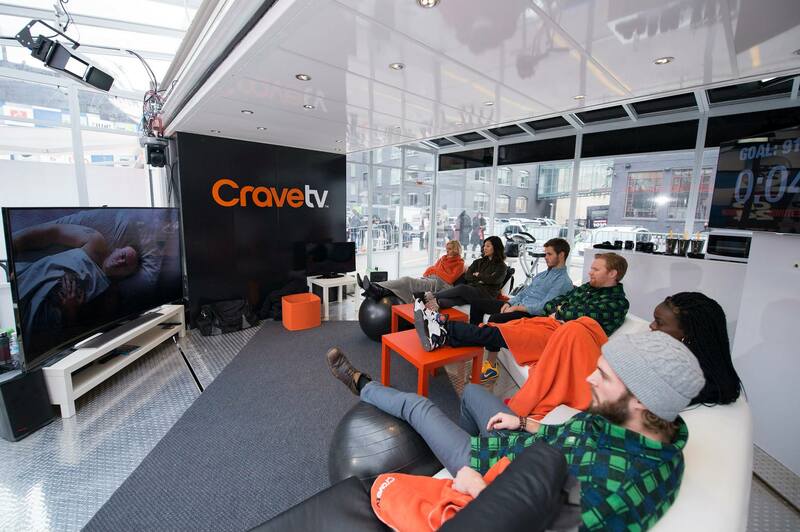 A true interactive experience for one and all!